From the Sunset Strip to the Las Vegas Strip, the world-famous Hollywood Laugh Factory has brought its amazing brand of comedy to Vegas nightly at the new Tropicana Las Vegas! 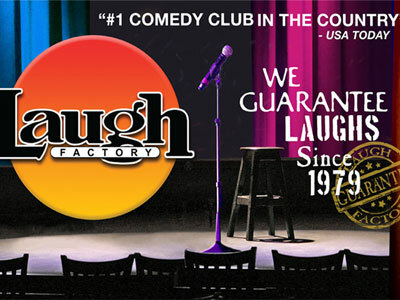 The Laugh Factory has been recognized as the #1 Comedy Club in the country, bringing the hottest comedians in the business center stage for a supreme comedy experience that shouldn't be missed. Shows happen twice nightly at 8:30PM and 10:30PM with additional midnight shows on Friday and Saturday nights.